A classic required for every historical collection - a nice silver penny of William I, (The Conqueror) from Normandy who displaced Harold II in 1066. 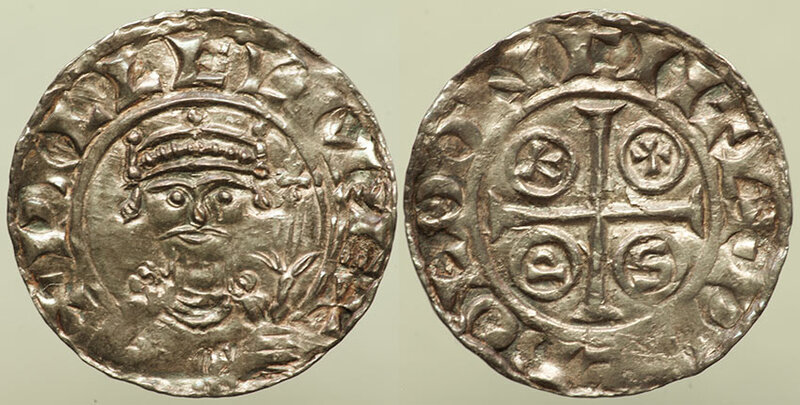 William struck coins from 1066 to 1087. This one was struck in Canterbury (?) and is known as a PAXS type: obverse: crowned facing bust with sceptre, crown type 1, breaking linear circle at bottom, legend commences lower left "+PILLELM REX". This one features a nice bold full face portrait. Can anyone provide a complete attribution for this particular example? Any help will be deeply appreciated!. This one features a nice bold full face portrait.